Uneeda bisquists came in tins, and also individual and 2-pack cardboard packages. I think they were unsalted -- then Keebler introduced their "Saltines." Kraft sold Nabisco to a new company, Mondelez-International (pronounced Mondo-Leeze), a few years ago. Incidentally, Kraft was bought by Berkshire-Hathaway (Warren Buffet) and merged with H.J. Heinz fairly recently. 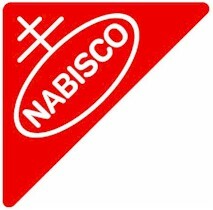 I used to work for Keebler as a sales rep here in FL (1981-'85) we referred to Nabisco as "Nasty Biscuit"
They were the sponsors of a Saturday night music radio show in the mid-30's that was a major springboard for the beginning of Swing Era big-band music. NBC's "Let's Dance" was on late, starting at 10:30 pm Eastern and running for three hours, the last hour playing the then little-known Benny Goodman Orchestra. Goodman was quietly building up popularity on the West Coast, unbeknownst to NBC and the Eastern-based show operators. Apparently this was because, with the band playing 3 hours earlier, the kids in the West were more able to stay up and hear the band's hot, swinging arrangements. Benny took the band on a summer one-nighter tour across the country in 1935. He had almost no success with the tour, and he decided that the band was going to be disbanded after the tour ended in Los Angeles. Of course, he had NO idea that the kids were by then going NUTS over the band in the West... That "last" one-nighter turned into a wildly successful three-week engagement, and the "Swing Era" was suddenly in full glory. Um, yeah... I love my swing music!